Palm Jumeirah is the original visionary land reclamation project off the coast of Jumeirah in Dubai. This residential, hotel and leisure development in the shape of a Palm leaf has inspired much international comment and interest. Its success has also led to the development of additional major reclamation projects in the region. 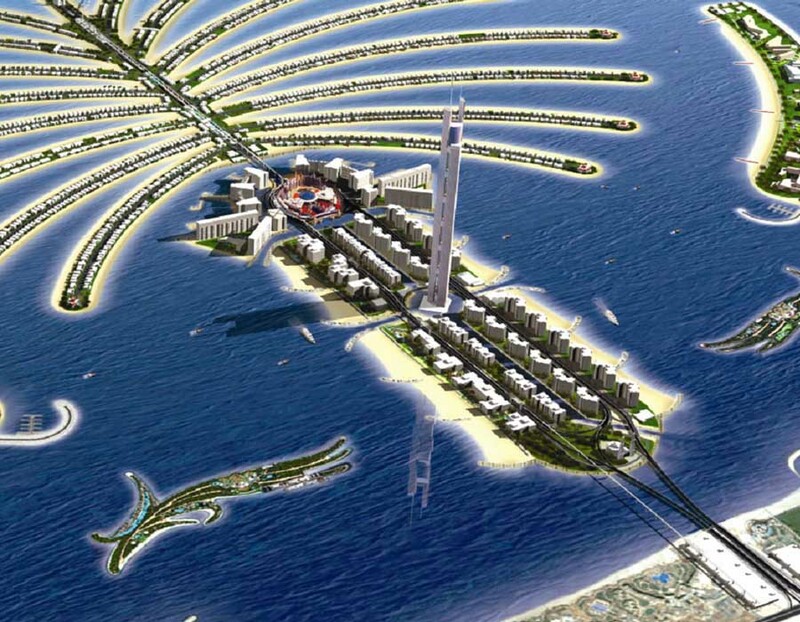 The GHD PTW Cox team were contracted to assist Nakheel in a full update of the Master Plan. 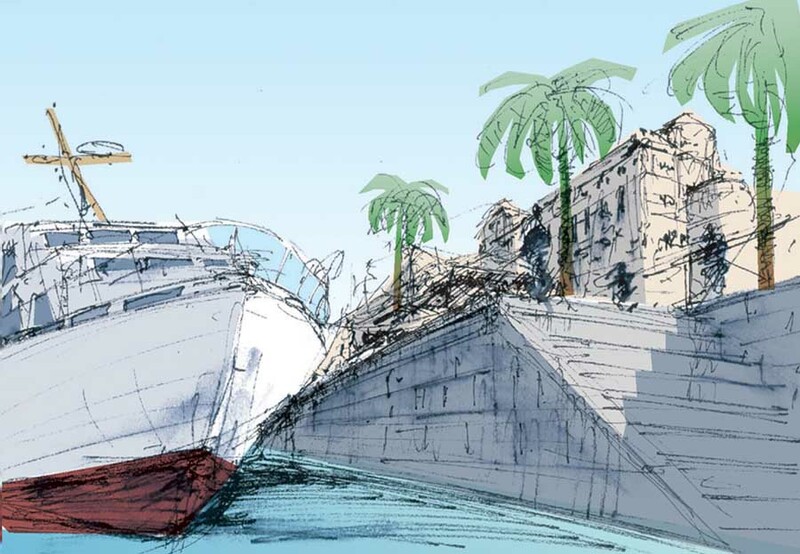 The extreme popularity of property on the Palm had led to a revision of development intensities and to the need for innovative and value effective solutions to be developed to up-date the Master Plan, public domain and infrastructure framework to accommodate the anticipated alterations in the structure of demand. 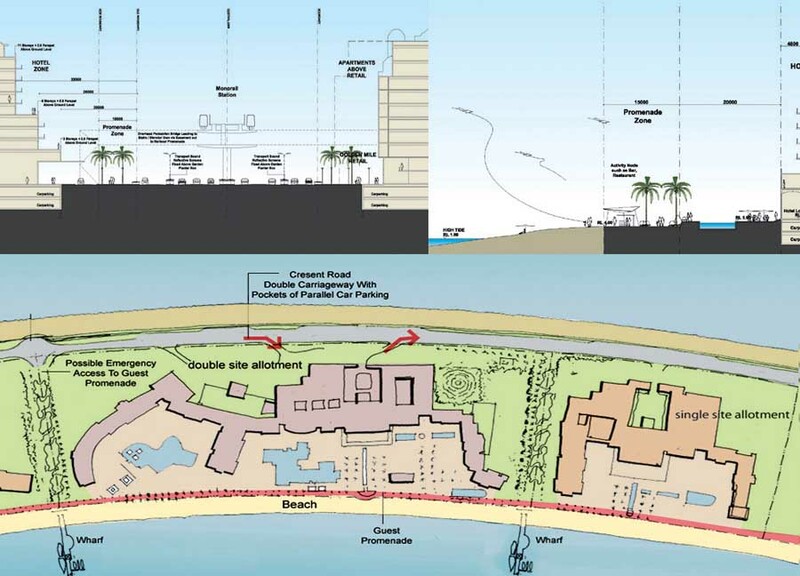 The Master Plan update also included the development of detailed development control guidelines for the hotel precincts on the crescent and trunk as well as updates for the other parcels as required to reflect the revised Master Plan framework. The Palm Jumeirah is an artificial archipelago created using land reclamation by Nakheel, a company owned by the Dubai government in United Arab Emirates and was designed and developed by HHCP architects. 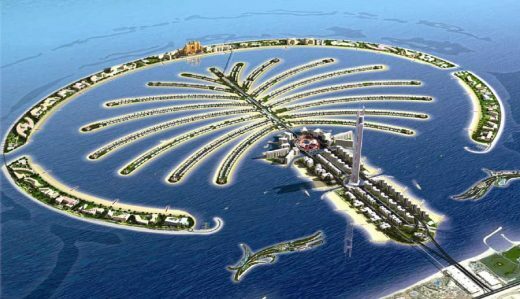 It is one of three planned islands called the Palm Islands (Palm Jumeirah, Palm Jebel Ali and Palm Deira) which would have extended into the Persian Gulf, increasing Dubai’s shoreline by a total of 520 kilometres (320 mi). The Palm Jumeirah is the smallest and the original of three Palm Islands originally under development by Nakheel. It is located on the Jumeirah coastal area of the emirate of Dubai, in the United Arab Emirates (UAE).